Sorry if this seems rushed, but I’m trying to do this from my cell. Oktoberfests from Germany have been getting lighter in color, body, and flavor over the last few years, and this one looks to be no exception. Slightly muddy straw yellow body with a thin white head. Smells sweet, grassy, very low-hopped. Almost a little adjuncty. Taste is much cleaner, though, dry with a nice grainy quality. Body is smooth and clean. I want a bit more spicy hop in my pale lagers, but this might do in a pinch. For an Oktoberfest, though, I’d take Great Lakes or Left Hand in a heartbeat. Or Hacker-Pschorr, although given the direction of German Oktoberfest lately that might not be the best choice down the line. Chad sent me a can of Schlitz. I reviewed it. All in one take, no less. What else do I have to say? The second of a seven-part series in which I review the beers sent to me by Chad. Chad knows that I’m a fan of a good craft lager, and wanted to send me this one. 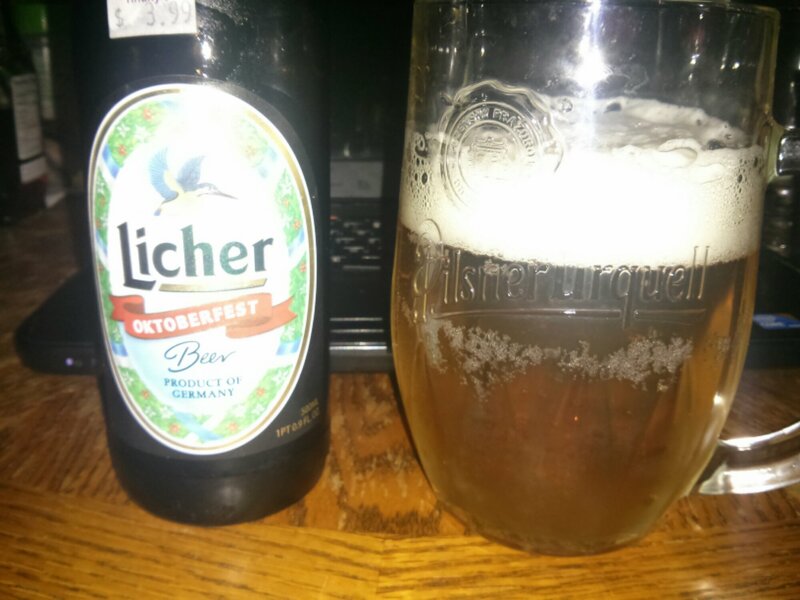 It’s a Vienna-style lager that’s a bit on the sweet side for my palate, but it’s a thirst quencher of sorts.